I was about ten inches away from two lionfish. The fish are beautiful but deadly. 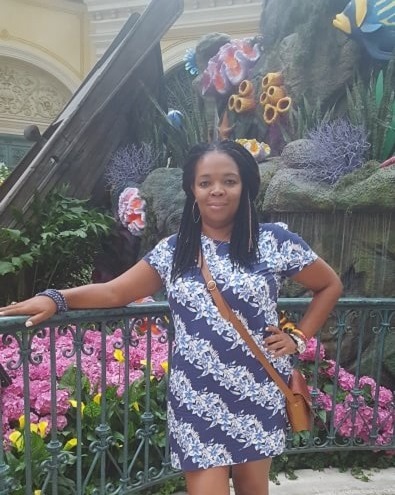 Sherrie Tennessee has spent the last two years living and working in the Caribbean and now finds herself residing back in her home state of Virginia. No stranger to a change of scenery, Sherrie recently returned to the United States after living in Jamaica. “Two of my favorite things in the world are my son's laughter and the sound of waves slapping up on the beach. The beach is one of my favorite places in the entire world. It just soothes my soul and brings me such peace and serenity. It wasn't until I moved to Jamaica and tried scuba diving for the first time that I really felt comfortable in the water. My love of snorkeling actually resulted in me not loving scuba diving. I decided to try scuba diving for my birthday a few years ago. It was a wonderful experience, being so close to fish, sting rays, and coral life. It was the ride back after the dive that made me question my decision. Nausea was an understatement. I wanted to give it a second attempt and I did last July and even took a friend. Unfortunately, my friend had ear issues and was unable to dive. As my partner for the dive, I was unable to go too far from her. I used the gear to just snorkel. In addition to her continued travel, one goal Sherrie has set this year is to read 50 books before the end of 2017. “I am on my fifth book this year, my favorite being Setting the Table by Danny Meyers.